A Personal Look at Gettysburg’s Cross-Disciplinary Science Institute Summer Fellowship | The Gettysburgian. Gettysburg’s Cross-Disciplinary Science Institute (X-Sig) Summer Research Fellowship was established to give students the opportunity to participate in undergraduate research. This summer, students worked closely with professors from the biology, chemistry, physics, psychology, computer science, and math departments as a part of X-Sig. 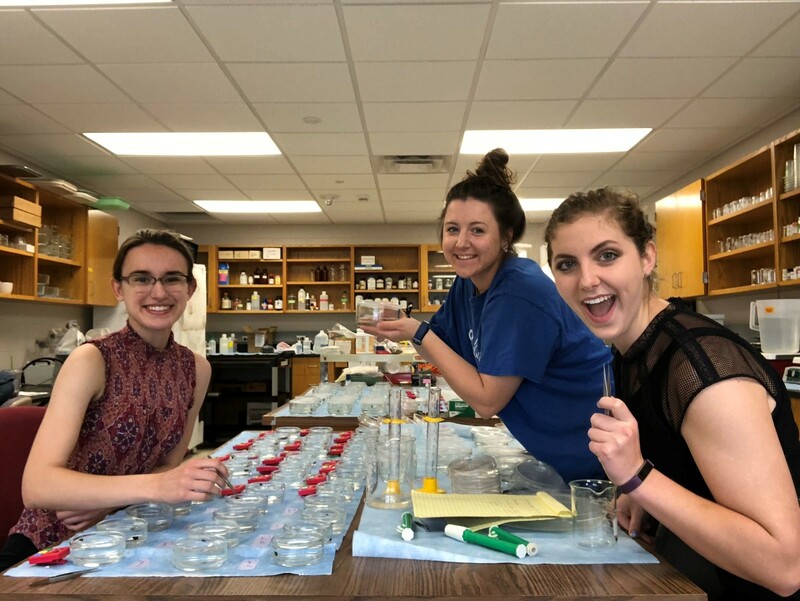 Though most of the summer was spent in the lab conducting research, the X-Sig program also emphasized the importance of interacting as a community of scientists and thinking about today’s most pressing questions in a broader sense. To facilitate conversation, there were weekly brown bag lunches and social pairing hours. Every week, we would sit with a different group of students and professors, each studying a different discipline. Getting to talk to physics and chemistry professors about my biology research and hearing about the work they were doing was a valuable experience. I always walked away having learned something new. Alex Paredes ‘20 said that, for him, the summer was about much more than working in a lab. I had the opportunity to work in the snail lab with biology professor, Dr. Peter Fong. Sarahrose Jonik ‘20, Courtney Ward ‘20, and I focused on the effects that pharmaceuticals and other industrial chemicals commonly found in the environment have on aquatic invertebrates. We were particularly focused on the marine and freshwater snails, Ilyanassa obsoleta and Leptoxis carinata respectively. Our lab also took several trips into the field. We collected snails from Lewes, Delaware, snails and crayfish from Marsh Creek in Gettysburg, and Mussels from Baltimore. During my first year of biology and chemistry classes, we would have a different project in lab almost every week. Working on one project for the entire summer was filled with new and different challenges, but was also very rewarding and an experience that I will not forget. If you would like to learn more about X-Sig summer research, there will be a poster presentation this fall. Also, X-Sig researchers recorded their experiences on a blog.